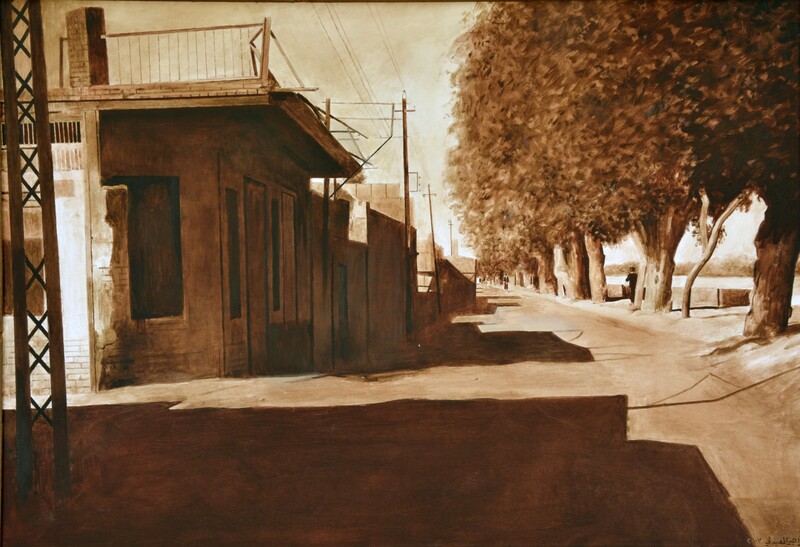 "The history of contemporary art in Iraq will remember the efforts of this creative artist. His sensitivity to colors can be comparable with his mentor “Faiq Hassan”. The realism of Ibrahim Al-Abdali is clearly defined and is often a precise match in academic style and skill in expressing his technical freedom. In both cases, the folklore subjects with him reminding us “likewise the paintings of Faiq Hassan” of his study of reality and the environment whom he implemented to match between the painter's technique and the artist's supreme consciousness." "إن تاريخ الفن المعاصر في العراق سيتذكر جهود هذا الفنان المبدع، فحساسيته للألوان لا تقل أهمية عن حساسية الفنان فائق حسن، فالواقعية عند ابراهيم العبدلي واضحة المعالم وهي في الغالب مزاوجة دقيقة في الأسلوب الأكاديمي والمهارة في التعبير عن حريته التقنية، وفي الحالتين الموضوعات الشعبية عنده تذكرنا كما في لوحات فائق حسن بدراسته للواقع والبيئة وقد نفذها كما اشرت بالمزاوجة الدقيقة بين خبرة الرسام ووعي الفنان المتقدم"